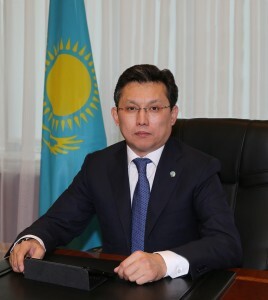 Minister of Finance Bakhyt Sultanov recently elaborated in an interview with the Kazakhstanskaya Pravda newspaper on prospects to stimulate economic growth while continuing structural reforms as called for in the country’s Nurly Zhol new economic policy, which was presented during President Nursultan Nazarbayev’s November state-of-the-nation address. Under the new economic policy Nurly Zhol – Path to the Future, the Kazakh government plans to pay special attention to the support and development of small- and medium-sized businesses. Why did it choose these sectors? Everyone knows that the President always pays attention to the importance of the development of small- and medium-sized businesses. In recent years our country has done much to promote the development of this sector: it removed administrative barriers to opening and running a business and created favourable credit conditions for start-ups and SMEs. This policy will be continued within the framework of Nurly Zhol. Moreover, it will be expanded through huge infusions of funds from the National Fund, as well as the Damu Entrepreneurship Development Fund. In addition, in conjunction with the international financial institutions, implementation of projects in the field of small- and medium-sized businesses will be launched from 2015-2019. Local entrepreneurs, being involved in projects in seven sectors defined by Nurly Zhol as priority ones, can apply for funding of more than $13 billion. We are talking about areas such as housing, development of roads, electricity and renewable energy sources. On the basis of the above-mentioned two factors, Nurly Zhol will be a great stimulus for the development of small- and medium-sized businesses and it is very important for Kazakhstan. In any economy, small- and medium business plays an important role. The higher the entrepreneurial activity is, the more significant the volume of GDP. Private business, establishing the company, going on the market with a certain idea, the implementation of which ensures the growth of gross domestic product of the region and, consequently, of the country. The more successful the business idea is, the better are its performance and its profitability. And, accordingly, the greater is the contribution to the growth of the regional economy. The second important point is the growth of tax revenues. Small organisations usually pay bills properly, as opposed to big companies. In Kazakhstan, currently the SME share in the revenue side of the budget does not exceed 18-20 percent, whereas in developed countries this figure reaches 60-70 percent. Thus, during the crisis it is more profitable to bet on SMEs than on large business? It is profitable to always bet on small- and medium businesses. This sector is the foundation of a strong middle class. What is called “middle class” is formed as the number of people receiving the opportunity for self-realisation through private property. The very concept appeared in the 17th century to refer to small- and medium-sized owners and entrepreneurs. Today, it applies only to income. But you know that managers and administrators, including of their own businesses, are always in a better financial position than employees. That is why we say that the more people who open their own business and the more successful it operates, the wider the social group of the middle class will be. At the same time it will increase the general wellbeing of the population, since SMEs create more jobs per unit of output than large businesses. We are talking about creating jobs for skilled workers, as well as for students, seniors and people without a university degree. It means that there will be additional sources of income. In addition, small- and medium-sized business is widely considered the main driver of innovation. In the U.S., for example, every eighth company which opens a small- or medium-sized business specialises in the development, manufacturing and commercialisation of new products and technologies. Does the state co-finance their activities? Just as in Kazakhstan, the state supports research and development activities. The issue is the interest of the business itself: on the one hand, of the bigger one to buy or book necessary developments from SME; and on the other, of SME to bring innovative ideas to practical implementation. The head of state talked about the importance of using science for the benefit of practitioners. Innovation should be aimed at improving the efficiency of production and eventually at making a profit. And it benefits everyone. Small- and medium-sized business is not only involved in the creation of innovation, but, more than big business, it also more actively introduces innovative products in its activities. Large firms, taking into account high risk and higher costs, transit carefully to producing new products. Analysis of renovating products of these companies shows that 70 percent of the new kind of goods is modification, while 20 percent is small innovations and only 10 percent is a new product never released before. SMEs are more mobile. They are closer to the interests of consumers and can quickly reformat activities to the needs of its customers. Small business needs it to remain competitive in the market and win the fight for the consumer. Thus, SMEs become an important part of the modernisation of the economy? As well as a stimulant to increase competition and ensure economic development and social progress. Much has been said about its pioneering role since the start of the privatisation process in the country. Do you think that small- and medium-sized business can be a growth catalyst for companies which are now being sold by the state? Last year we launched the second wave of mass privatisation. The first one took place in the 1990s. As part of this campaign, we are selling off state assets and also releasing a niche in the market for business. That is, we apply the principles of Yellow Pages Rule: where the private sector can operate, there should be a limit to the operation of state-owned enterprises. SMEs can exist only where there is no other possibility of ensuring national security and defence of the state, protecting the public interest and maintaining the strategic objects in state ownership. If you look at the list of privatised companies, you will see a lot of educational centres and centres for studying the state (Kazakh) language. This field is presented by both government organisations and is actively developing in the private sector. If there is a private trader, why do we need state companies? The same principles will be applied to creating new state-owned enterprises and subsidiaries in the quasi-public sector. The state should not take away the bread from the private sector, which works more productively for profit. After all, the main task of any investor is not to become bankrupt. In autumn, mass media reported an incredible selling price for one company from Eastern Kazakhstan at a Kazakh privatisation auction – it exceeded the starting price by 25 times. Correct me if I’m wrong, you are referring to a 51 percent stake in Ritual-Service LLP. Then the selling price was really over 25.5 times higher than the start one. From the start of the auction, the buyers started to make high stakes. We recorded another fact of such activity during the sale of Mak-Ekibastuz LLC (assets of the Kazakhstan Railways national company). The buyers traded steadily, but persistently: there were five buyers and 55 price moves. What is the most expensive object from the sale? Judging by the final sale price, it is KEGOC, which was privatised through the People’s IPO programme at 13.1 billion tenge (US$70.1 million). Through the auction the most expensive object sold was Mak Ekibastuz, costing more than 1 billion tenge ($5.4 million). And the highest estimated value of 100 percent of shares belongs to Almaty Car Repair Plant, with 6.6 billion tenge ($35.7 million). Overall, I think the privatisation process is moving well and most importantly, it is in demand among businesses. The state aims to free a maximum-competitive niche for private businesses. It will ultimately contribute to the growth of entrepreneurship in the country, having a positive impact on the economic stability of Kazakhstan. After all, a sovereign state is a state which is able to support itself. Not squeezing business to get higher taxes, but creating conditions for the expansion of business and, as a consequence, the tax base as a whole.